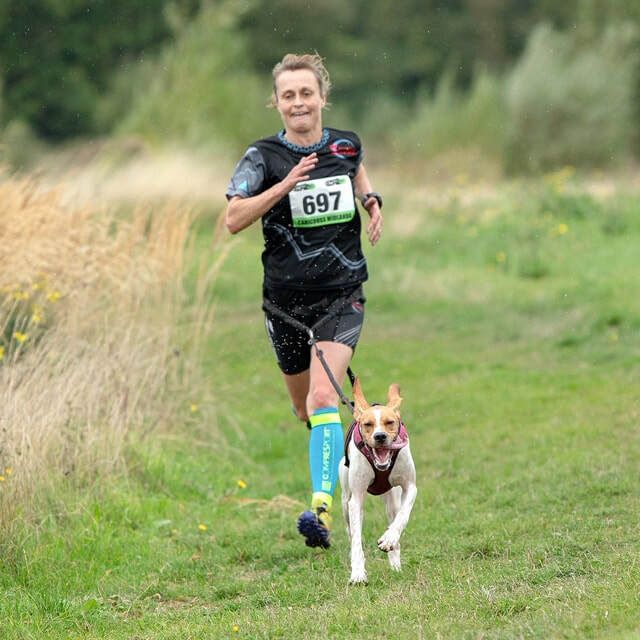 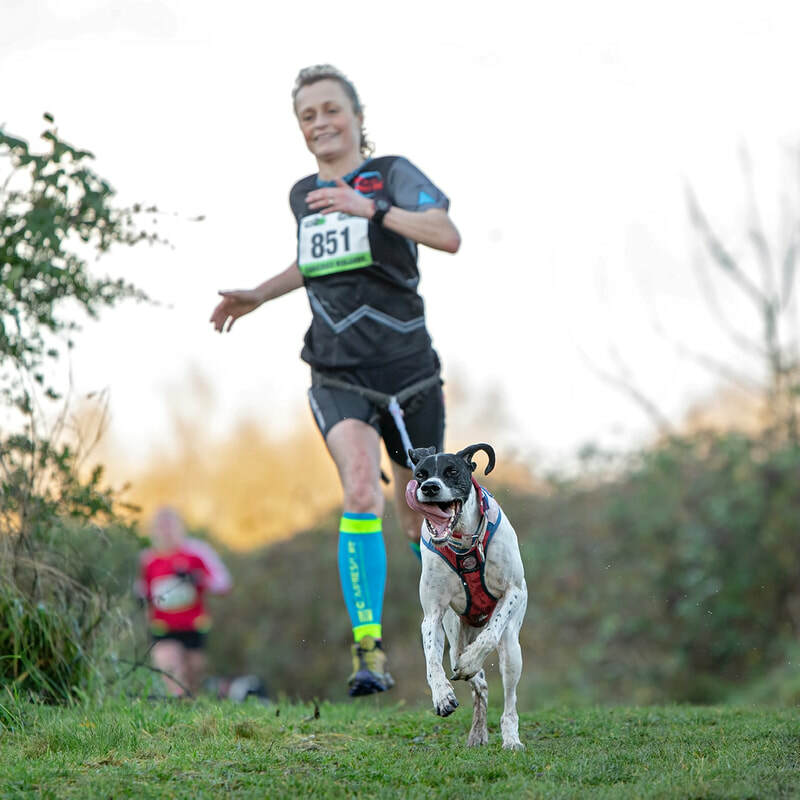 ​I’ve competed in Canicross (Cross Country running with a dog attached ) since 2011 starting with Gavin who showed a talent for it straight away gaining many race wins & national medals including a gold medal. 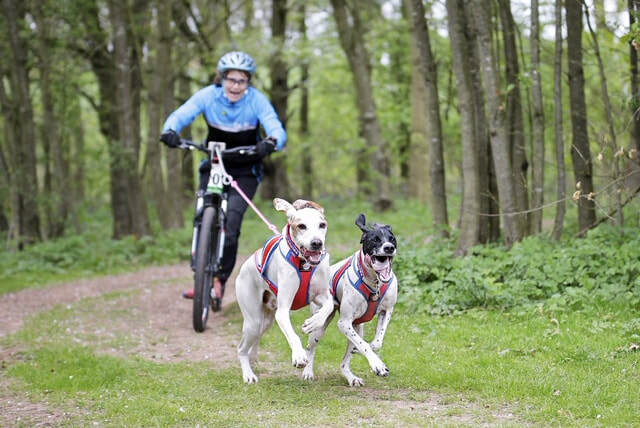 Daphne started racing in 2014 & was simply amazing from the start winning European Gold at the tender age of 14 months ... she has gone on to win 3 more European medals & several national medals including gold .. we are currently ranked number 1 in the UK in our age category.. she constantly amazes me with her talent & drive. 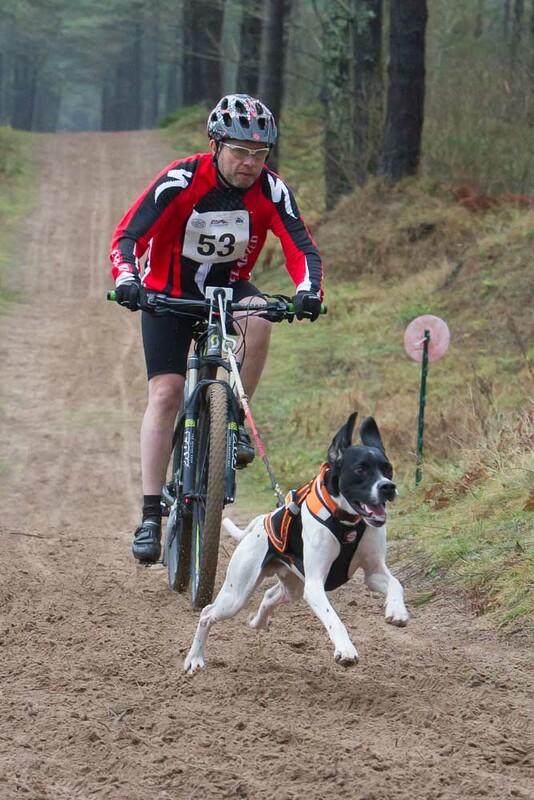 We train & compete with our Pointers in Bikejor (mountain biking with a dog attached) & Scooter too!